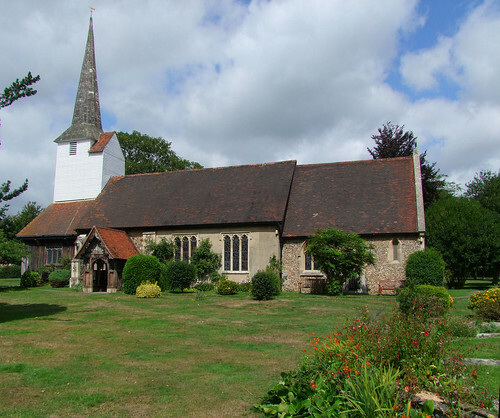 This is a famous church, often used as an example of the typical Essex style with its weather-boarded belfry and wooden spire. It is big inside, and very much in the Anglo-Catholic tradition, with lots of fabulous mid-20th Century glass, statues, modern chairs, incense - you get the picture. I liked it a lot, even though it didn't feel particularly rural. The old rectory next door is now the official residence of the Roman Catholic Bishop of Brentwood, and I am sure he would be quite at home here. I felt at home here too.